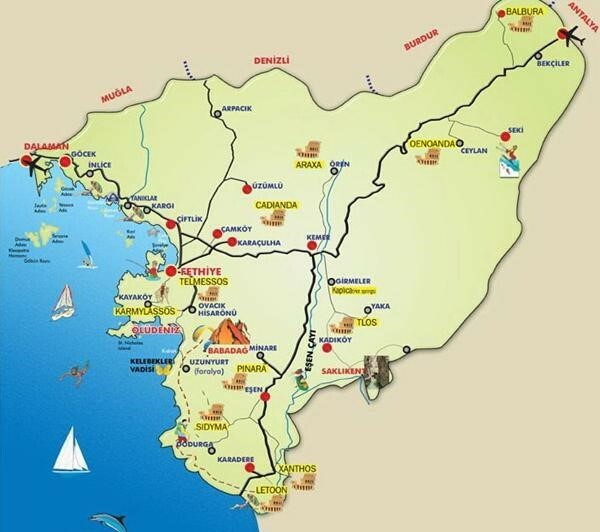 As a travel agency and a rent a car company at Fethiye, we took informing travel enthusiasts about Fethiye on as a duty. In this weeks blog post, we will be writing about three different locations. 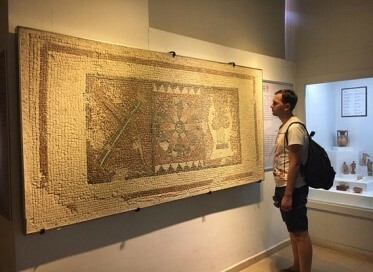 Firstly, we will be mentioning about Fethiye Museum; for those who loves to learn more about the history and the culture of those who have lived before us. Secondly, we will be analyzing the Fethiye Tuesday Market for those who want to purchase gifts as a remainder of a beautiful vacation at Fethiye. 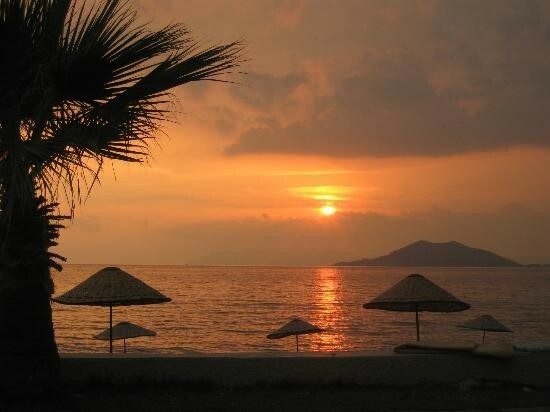 Lastly, we will be picturing about the natural beauty of Fethiye Peninsula (Oyuktepe) & Bays. We hope that you enjoy our post, and wish you a unforgettable summer this year. The Fethiye Museum is a delightful museum, located off the main street in the center of town next to a school. It has many Lycian artifacts, some of which were found during the excavations of Fethiye (ancient Telmessos). Fethiye Museum hosts a large variety of historical treasures. Exhibits include Lycian pieces from the Bronze, Archaic, Hellenistic and Roman ages and from Byzantine times. There are coins from various periods, pre-historical and historical ornaments, statues, busts etc. Also pieces of a tomb from Tlos, grave steles, offering altars, jewelry, bronze pieces, amphorae, column pedestals and capitals and earthenware vases. One very significant finding displayed here is the very important 'Trilingual Stele' from Letoon, bearing inscriptions in Greek, Lycian and Aramaic, which is crucial in the deciphering of the Lycian language. There is also a separate ethnographic section with pieces from the Menteşe and Ottoman times. Outside the museum is an open-air gallery with many interesting pieces. Tuesday Fethiye Market(bazar) scatters under canvas tents on the banks of the river that runs along the central streets of Fethiye on a sharp turn to the sea. It attracts people for shopping in Fethiye not just from the neighborhood but probably from all around the Lycian coast. Plenty of fruits and vegetables of different varieties, luxury selection of olives both pickled and smoked, nuts, homemade cheeses and sweets, great variety of spices, rice, colored beans, lentils and other cereals – all this you can find visiting Tuesday Fethiye Market. The market for manufactured goods is located behind the food market and it is not smaller in size. There are many textile products, towels, inexpensive but very fashionable and quality clothes, souvenirs, shoes, bags etc. 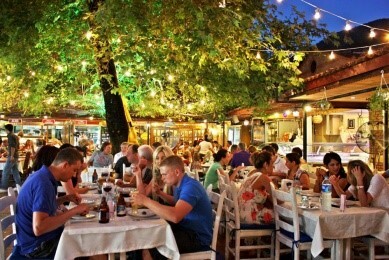 Like everything else in Fethiye, the prices will please you. A circular route of the Oyuktepe Peninsula in Fethiye offers you wonderful sea views all the way around. Beauty of Oyuktepe starts and ends at Marina Vista Hotel near the boat yard. There are variety of beaches set on the small bays of the peninsula which you can enjoy the turquise clear, warm waters of South Aegean Sea while laying silently on your sun bed or partying with a dj performance. It is only 10 minutes by the local minibus (dolmuş) services that makes a round tour around the peninsula and stops by every beach. Don’t forget to check our website to learn more about the high quality Rent A Car, and Airport Transfer services for a more comfortable vacation in Fethiye! Also be sure to check our Tours page to learn more about the tours we arrange around Fethiye! We wish a fun, and relaxing summer season for everyone!